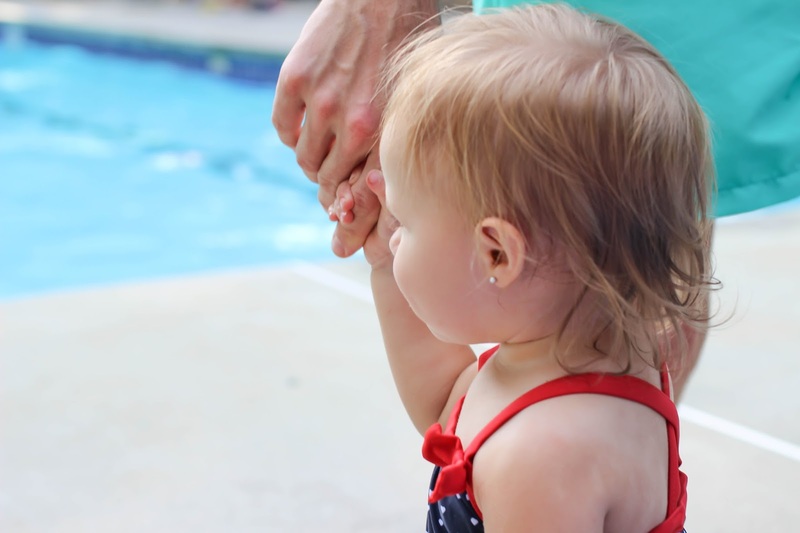 Every Friday night that we are in town we meet up with friends at our neighborhood pool for food and fun. Typically everyone brings some type of food to share. Since I’m typically busy, frazzled, and running way behind, I try to pick up something that’s easy and delicious. My go to is EDWARDS® Whole Pies. I’ve been a fan of these pies since my dad used to buy them when I was a kid. I’ve never tried a flavor I didn’t like. Key Lime was my favorite, and the one we took to the dinner at the pol this week, until I tried the HERSHEY’S® Special Dark Chocolate flavor on Sunday. Dark chocolate is one of those things in life I just love. 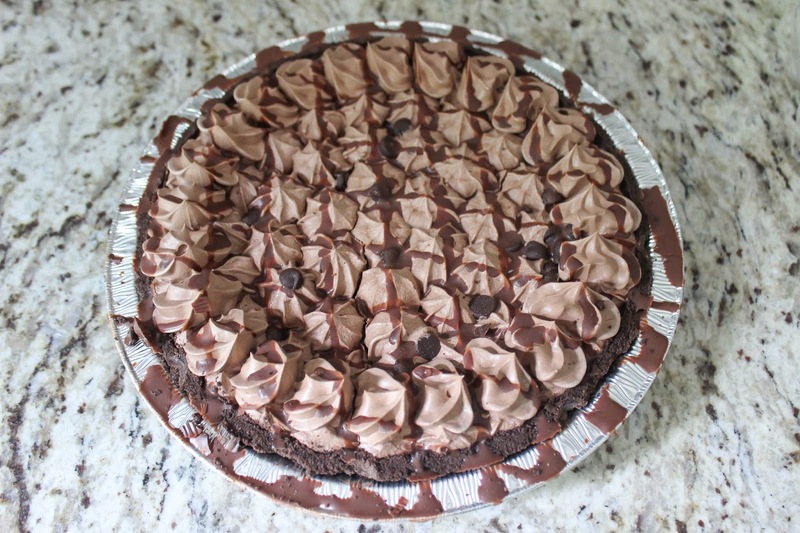 This pie is a dark chocolate crust with a layer of dark chocolate fudge slapped on top covered in dark chocolate creme and topped with dark chocolate chips. I’m not kidding. It’s heaven in a pie and I’m sorry if I sound overly enthusiastic about it but it really was that good. 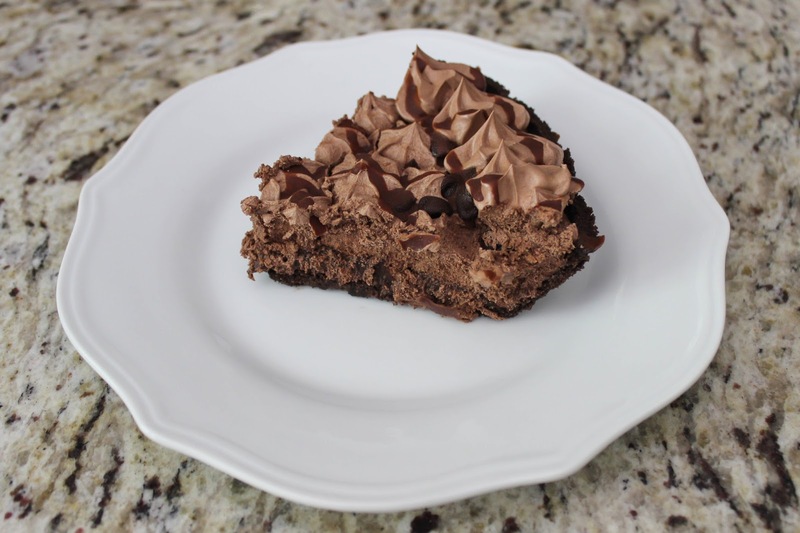 So you better believe the next Friday night we meet friends for dinner at the pool I’ll be bringing along EDWARDS® HERSHEY’S® Special Dark Chocolate Creme Pie. I pick up my EDWARDS® Whole Pies at Walmart. 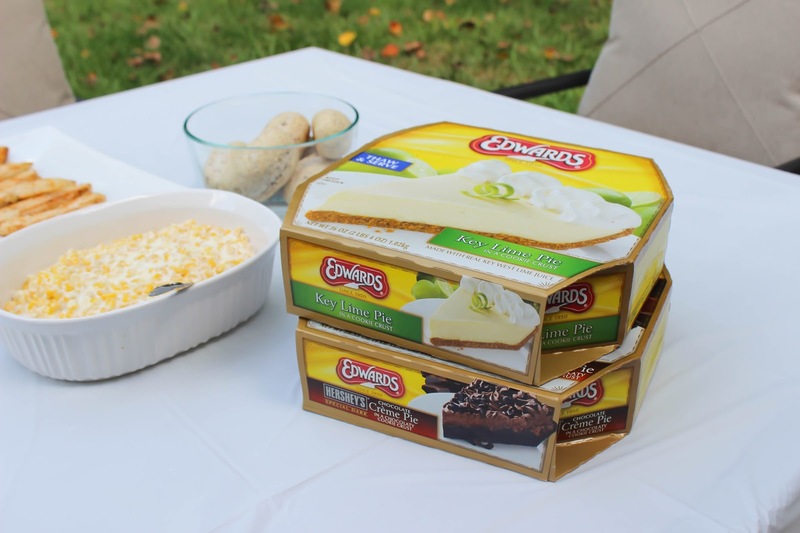 Right now, save $1.00 on any ONE (1) EDWARDS® Whole Pie by taking advantage of the Walmart EDWARDS Ibotta digital rebate (while supplies last). How do you make summer nights special? I’d love to hear more below! Haha pie for breakfast sounds awesome!! Oh I love S'mores and BBQIng! She is ADORABLE, love her suit! And now I'm totally craving that chocolate pie. Thank you! You're still on the list just have to figure out the PayPal – send me an email! My goodness – that pie is to die for! I love chocolate! It's so good – dangerous! 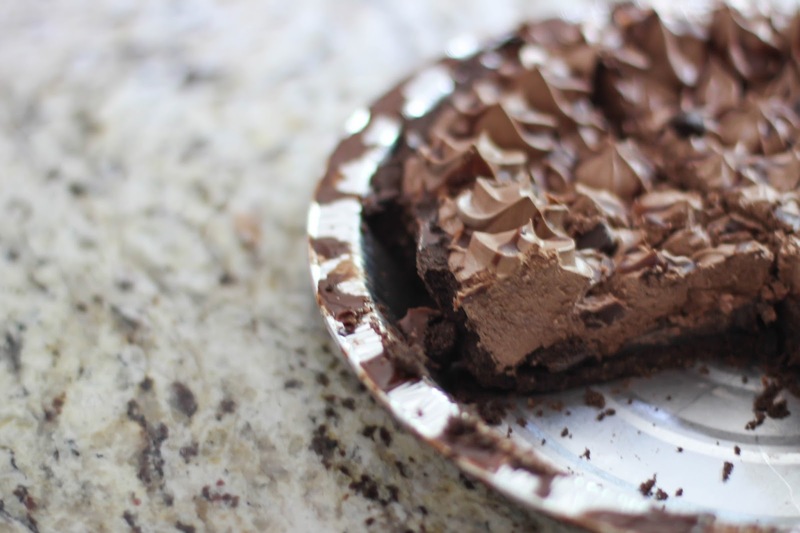 Okay that chocolate pie looks absolutely amazing! 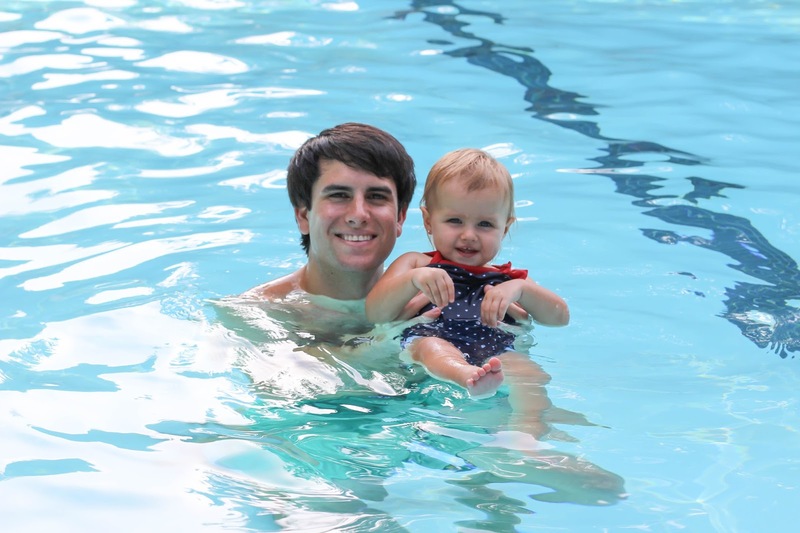 Your baby is adorable, hope you guys had a great weekend!